'On Monday, Zoo Atlanta announced that it had lost a Super Bowl bet to the Roger Williams Park Zoo in Rhode Island. The friendly wager entailed that the losing zoo name one of its baby animals after the winning team’s star quarterback. After the New England Patriots beat the Atlanta Falcons, the zoo honored the Pats’ QB Tom Brady with an animal choice that seemed a little bit snarky. They picked a Madagascar hissing cockroach. 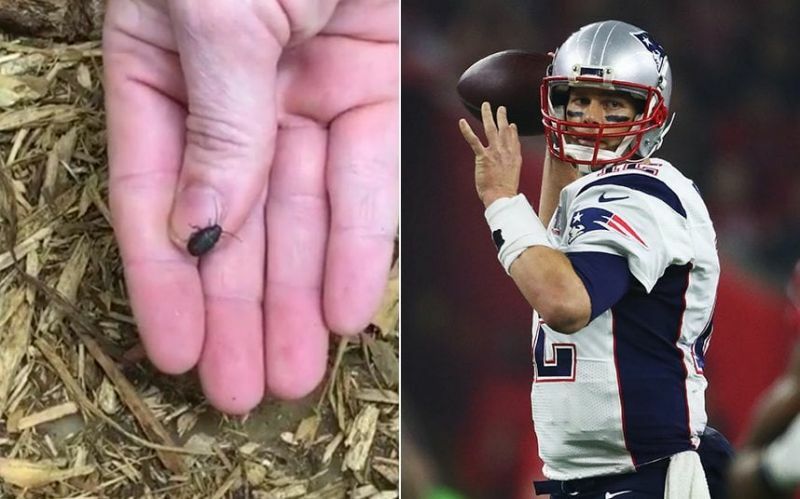 The zoo introduced the tiny Tom Brady insect via video on Instagram on Monday. No word yet from the Pats’ QB on the honor … or whatever you would call it. The new addition is joining a family of roaches that also play on the Brady name, with a Brady Bunch theme — Mike, Carol, Greg, Marcia, Peter, Jan, Cindy, and Bobby. Tom Brady isn’t the only celeb to be recognized with his very own hissing cockroach — other celeb-named roaches include Barack Obama and Mitt Romney and comedians Nick Kroll and John Mulaney.